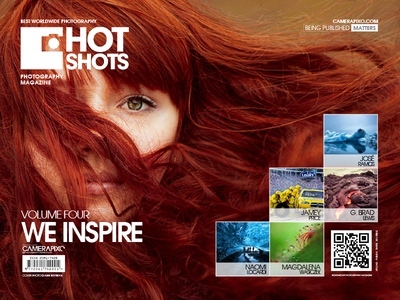 I received "Hot Shot" issue for review just before the weekend. As it happened, it was planned as a social weekend. I had some friends for whom photography is a hobby. Because the "Hot Shot" issue was just within a close reach, each guest curiously reached for a magazine. Frequently, the first sentence was like, "What a funny format", but then there were only sighs and exclamations of delight. I felt like a hostess at a café because my role was limited to giving coffee. Guests enjoyed the magazine sitting comfortably on the couch and sipping aromatic beverage, sank in the journal. The "Hot Shot" extraordinary photos are published by photographers from around the world. What is their uniqueness? Well, the pictures were taken in this one magic moment when the light, model, and the whole universe was conducive to the photographer. This resulted in one shot that overshadows all, sometimes for hours session. 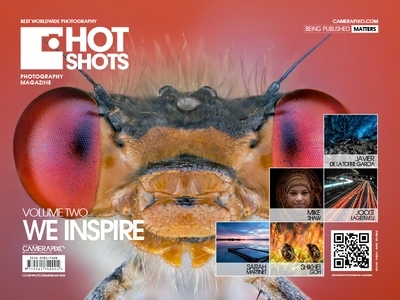 Keeping the number of "Hot Shot", we keep a collection of the best of the best, inspiring photographs of various subjects. They are travel photos, landscape, macro, natural, reportage, posed and unposed. In the three issues that I have reviewed, I did not find any studio photos. Each picture is described: name of the author, tiny self portrait, title of the photo and the address of the author's web page or any other link, on which the author publishes his works. In each issue there is no index of names of authors of photography, but they names may be found on camerapixo.com/publications page. 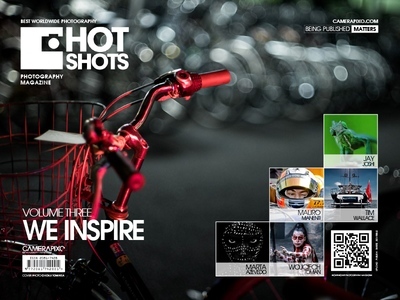 On the cover of "Hot Shot" there is always the slogan: "We inspire" and I absolutely agree with it. The presented photos may be an inspiration for all enthusiasts or people completely hooked on photography. We will not find photography tutorials or technical parameters of the image in each issue. The magazine is a publication in English. After short introduction to each issue there is no more text, so lack of the English language is not an obstacle. Each number counts from 100 to 245 pages. Yet one thing I have to mention, namely the print quality. Admiration of the presented photographs would be smaller if the paper and printing quality was poor. Fortunately Camerapixo uses the services of several printers in the world that can boast of a very high quality of its products. "Hot Shot" is not available commercially or by subscription. It can be ordered via their website by on-demand printing and I like it. The reader is not required to purchase a subscription. Anyone wants to have a specific number and may order it at anytime. The final price depends on your location. All information can be found on camerapixo.com/publications page, magazine is also available free of charge on-line in PDF version. Publishers of Camerapixo promote photographers from around the world. By photographers, I mean not only the people involved in this field professionally, but also amateurs. Any information on how to find oneself in the pages of "Camerapixo" or "Hot Shot", can be found on the camerapixo.com website. 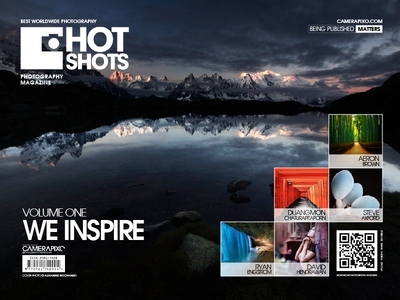 I hope that helped you to get to know a bit more of "Hot Shot" and to want to publish your "best of" on their pages.